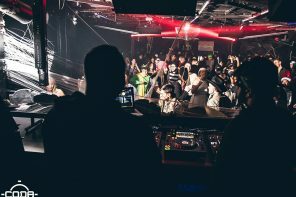 This month CODA dishes out a diverse selection of tech house, electronica and progressive house, backed by some of the most sought-after international names. 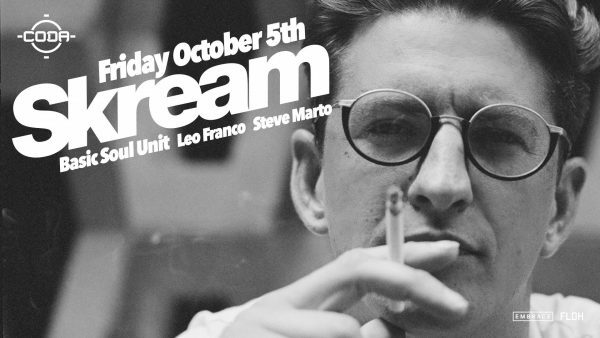 Kicking off October and taking us into the looong weekend, it’s the UK’s multi-talented Skream. 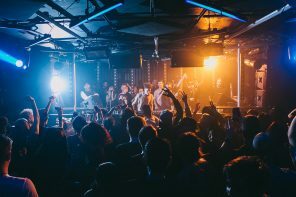 Last year, he rocked CODA on his Skreamizm tour, taking the dance floor on a 3+ hour journey. If there’s anyone who can fire us up for a long weekend, it’s Skream. On October 13, catch the Canadian debut of another UK export, tech house duo Leftwing & Kody, who were recently featured on our #TourChronicles series. 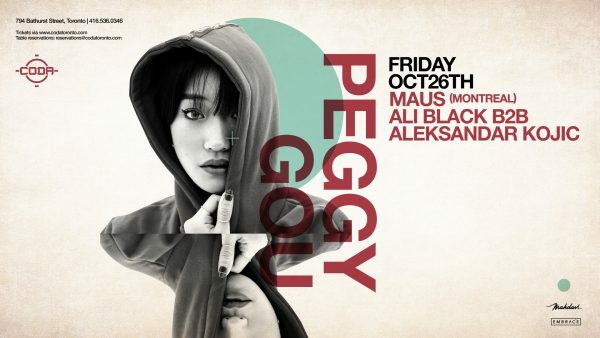 Closing off the month, prepare to get freaky over the Halloween weekend when South Korea’s Peggy Gou reveals why she’s been one of the most talked about DJs on the scene in recent years. Buckle up – fall is here! One of the most musically diverse, and captivating DJs on the scene, Oli Jones aka Skream earned his name amongst the electronic music community as a dubstep DJ, while incorporating elements of house and dub. Last year, he took CODA on an unforgettable ride during his Skreamizm tour — we can hardly wait to see what he has in store on October 5! 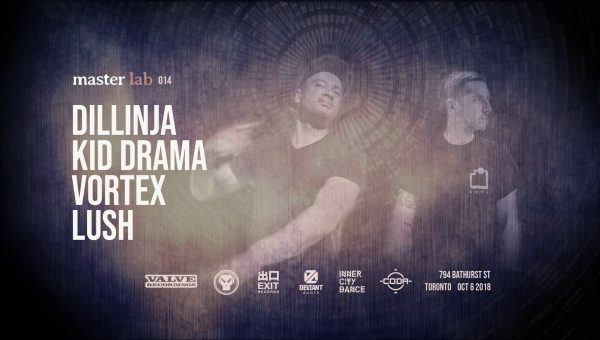 Masterlab is back with an army of drum and bass, and jungle’s finest, including Dillinja, Kid Drama, Vortex, Lush and A2. Come prepared to sweat and rinse your hearts out on October 6! 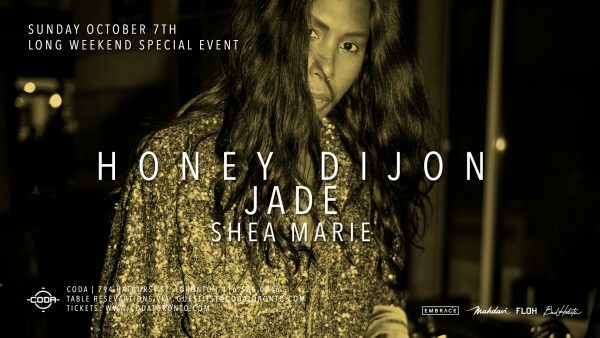 There’s no better way to give thanks this Thanksgiving long weekend, than with the signature sounds of Chicago house veteran Honey Dijon. Her subtle mixing skills and the deft, almost sensuous transitions between house and techno deliver a warm, hypnotic vibe within her sets. Joining her will be No.19’s Toronto-native Jade. Come see these powerhouse women in action! 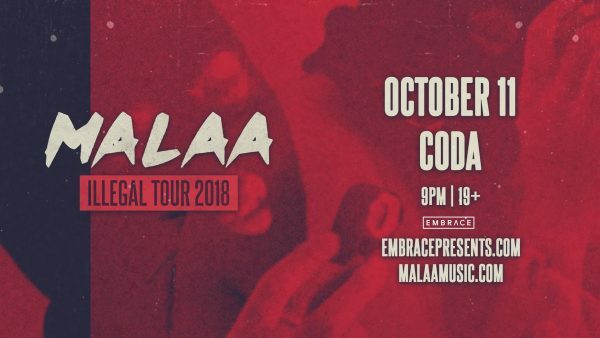 On Thursday, October 11, Embrace presents the anonymous, balaclava-wearing DJ Malaa. Come hear what future house sounds like on CODA’s first-class sound system! They’re back! 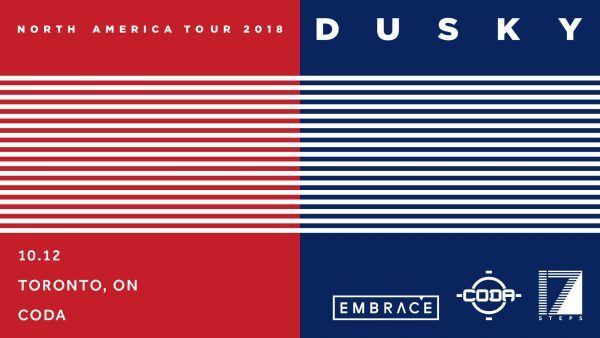 CODA gives a warm welcome back to London’s electronic music duo Dusky on October 12. 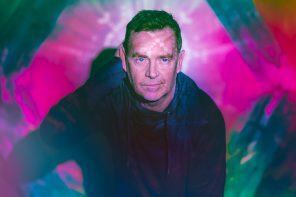 With support from industry leaders Pete Tong, Maya Jane Coles and Mark Knight to name a few, this is a duo that continues to leave their mark. There’s nothing like a Canadian CODA debut — that’s exactly what Toronto is getting on October 13 when one of the UK’s most promising dance music exports, Leftwing & Kody hit the decks. 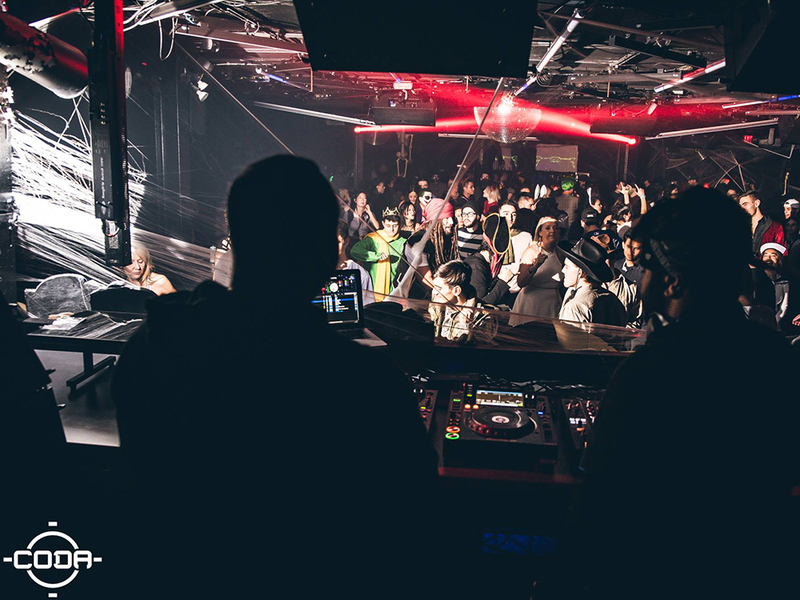 Named as “the ones to watch” by both Mixmag and DJ Mag, this duo means business! 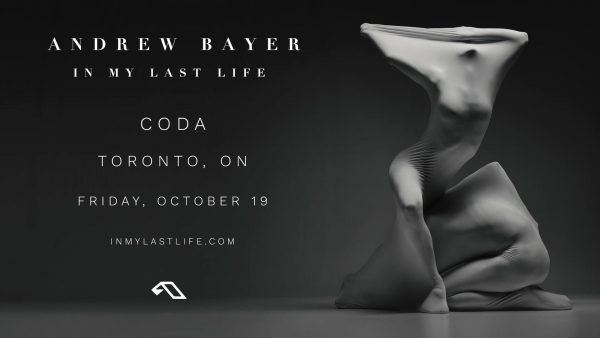 Anjunadeep artist Andrew Bayer presents his ‘In My Last Life’ tour on Friday, October 19. Come enjoy an electrifying blend of trance, progressive and electro house! 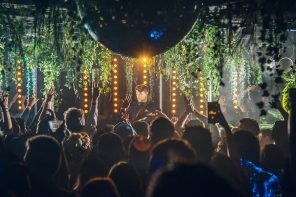 South Korea’s Peggy Gou has been one of the most talked about DJs on the scene in recent years. Having made her recording debut in January 2016 on Radio Slave’s Rekids label with ‘The Art of War Part 1’, it’s been all uphill from there! Come see this star in action on October 26. 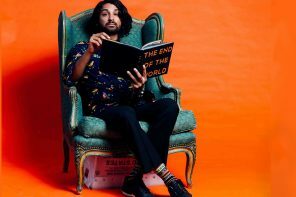 Driven from his Italian motherland by a compelling desire to reinvent, innovate and progress, Riva Starr has made London his home since 2008, but on October 27, the only place he’ll be calling home is CODA’s dance floor! 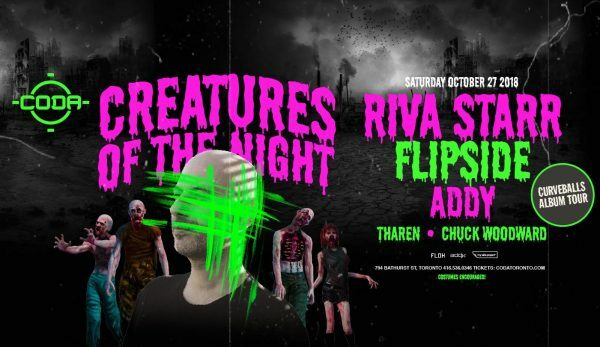 Join the ‘Creatures of the Night’ for this very spooky Halloween event. 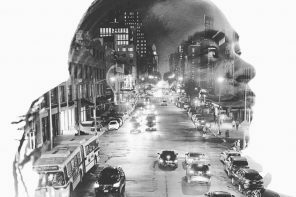 Previous articleCODA Welcomes Nima Gorji, Purple Disco Machine, Stimming & More! 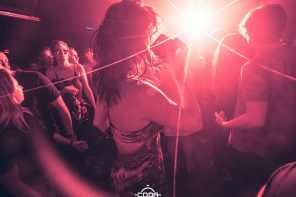 Next articleThis Month at CODA: Patrick Topping, Victor Calderone, Yotto & more!